How safe are bad credit loans? How safe are bad credit loans? Bad credit loans are safe, as long as you make use of the protections in place. Many problems in the past left some bad credit loan providers with a worrying reputation. But, a response by regulators and responsible lenders has placed them amongst the safest forms of borrowing. If you have a poor credit rating, then it is likely that you have struggled with money in the past. You may have found it hard to repay your debt. This could make you worry about the safety of bad credit loans. Understandably, you could be cautious about any future borrowing. Though loans can seem appealing, it is important to feel confident in your decision. Bad credit loans have been made safe by the FCA. As long as you are careful to borrow from an authorised lender, you are protected from scams and severe financial difficulty. As you apply for a payday loan for people with bad credit, you might be concerned that they are not a safe way to borrow. Can you afford to pay back the money that you borrow? Affordability is a big concern when asking the question how safe are bad credit loans. The responsibility first lies with you. It is essential to consider your financial situation before you make a loan application. You know that you need a loan, but do you have a plan for repayment? Make sure that you create a clear household budget. This will help to put your mind at rest. Also, it will show how much you can afford to repay each month. The Financial Conduct Authority protects you from excessive fees and charges that could send you into a debt spiral. Yet, you will still need to think about the consequences of your borrowing. Lenders need to be clear about their prices and overall loan costs, so most feature loan calculators on their websites. Use this to adjust loan amounts and repayment terms, until they fit within the budget that you have planned. Lenders will also run their own affordability assessments. Your loan application will not be approved unless you pass these checks. A majority of applications are turned down. This provides reassurance that lenders are acting responsibly. If you want to check if you can afford a loan before applying, CashLady has created an affordability calculator to help guide you. Are their loan terms and prices clear? Do they seem reasonable, or are they making unrealistic promises? Unfortunately, there are many unregulated companies that prey on the vulnerable. People with poor credit ratings may be more likely to make impulse decisions, in moments of desperation. When you apply for a loan, you will provide many personal details. It is important to check that your data is being handled responsibly and that you are not falling victim to a scam. Lenders are safe if they are authorised by the Financial Conduct Authority. Authorised lenders are continuously monitored. They may lose their FCA approval if they do not follow regulations. In the UK, loans are regulated by the Financial Conduct Authority. The FCA ensures that lenders are adhering to certain standards. The FCA’s standards are in place for consumer protection. They help to make sure that borrowers cannot take on too much debt. All loan providers must apply for FCA approval. They cannot provide their services as a lender unless they have been authorised to do so. Regulation ensures that lenders are being fair and responsible. They should not charge excessive fees. They must not harass their customers and should have clear and honest adverts, without misleading claims. Lenders should run stringent affordability assessments. Ensuring that borrowers can afford to make their repayments. The Financial Services Register lists all approved and authorised lenders. Checking the register can protect you from scams. Lenders must maintain good standards for continued FCA authorisation. If complaints are received, the Financial Conduct Authority can investigate. Loans in the UK must adhere to certain EU and international standards. The FCA’s remit includes the enforcement of these standards. Lenders must provide consumers with a Standard European Consumer Credit Information form. This, in turn, details the terms and conditions of the loan. This must include the loan’s APR, repayment dates and repayment amounts. It must also show the total cost of credit. EU regulations also provide a 14 day cooling off period, during which you can withdraw from the agreement. A rushed decision doesn’t need to be the end of the world, but you must act quickly if you believe that you no longer need the loan. What if you apply for a loan, sign along the dotted line and later realise that you’ve made a mistake? Then you can repay the money plus any accrued interest and cancel the agreement. You also have a right to repay your loan early. You may have to compensate the lender for any lost income, by paying the interest as though you had fulfilled the loan’s full term. In addition to EU regulations, the FCA has a number of its own rules in place. Price caps improve the safety of very bad credit payday loans, by making sure that costs and charges do not become unmanageable. An interest rate cap of 0.8% per day or 80p per day per £100 borrowed. Default fee caps of £15. A total cost cap of 100%, so that the total amount repayable can never be more than double what was originally borrowed. 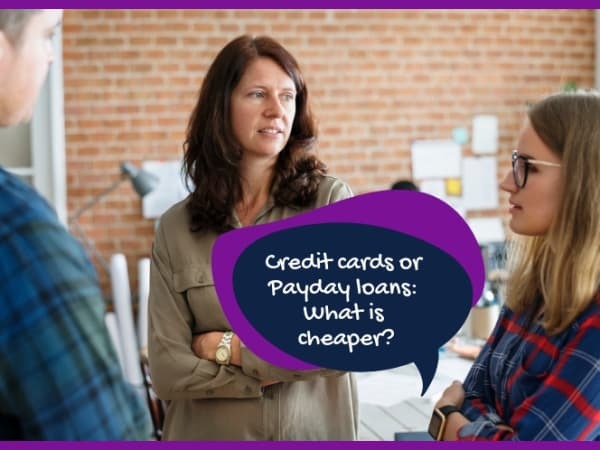 Many bad credit loan providers are offering even better terms than the FCA caps, in an attempt to win more customers – so shop around for the best deal. Consumer credit providers, plus those that offer bad credit loans, must be transparent about their costs. They need to include a risk warning in their adverts. This warning states that late repayment can cause serious financial problems. Lenders should advertise a representative APR. However, for short term loans, this may not be a very useful piece of information. That is why it may be better to visit a lender’s own website, where they may have an online loan calculator. Loan calculators can give you the important details such as the overall cost of the loan that you want to apply for. They will also include individual instalment amounts. You can adjust the loan amount, and loan term until you are happy with the details. Loan brokers are subject to the same regulations as individual lenders. This means that they are approved by the FCA. They feature on the Financial Services Register. What if you have concerns about the safety of bad credit loans? Then it may help to find an authorised broker rather than immediately applying direct. Loan brokers can help you to compare loan offerings from many different providers at once. You can see the different costs and terms, before making a final decision. Using a broker can help you to find the best loan. Most of the time, this will be the cheapest when comparing like for like. With brokers like Cash Lady, the application is finalised with your lender of choice. This means that you have a final opportunity to check the lender credentials and the terms of the loan agreement. Also, to see how they are reviewed by their customers. To keep their FCA authorisation, brokers must ensure that they are only working with approved and regulated lenders. If you find a good broker, you also find good lenders. If you have an adverse credit score, applying for a loan can be a particularly big decision. Bad credit loans often have higher interest rates. Usually, to reflect the fact that customers are at a higher risk of missing repayments or defaulting. This means that your loan will be more expensive than it would be if your credit file was in better shape. If you do not need a loan immediately, it may help to take some time to work on improving your credit rating. You cannot make improvements instantly but can take steps towards building a better credit rating over at least 6 months. If you need a loan for home improvements or a vehicle upgrade, it may help to take these steps before you make a loan application. Waiting may be worthwhile if it results in better interest rates. This could provide you with more affordable options, which may be safer if you are on a tight budget. If you need a loan immediately, or in the very near future, then you will not have time to raise your credit rating. Instead, you will be best served by loan comparison websites that will help you to find the best prices. Ensure, before borrowing, that you are not making an existing problem worse. Perhaps you are borrowing money because you are drowning in existing debt. Or you may be struggling to build enough savings to cover any emergencies. If this is the case, an alternative solution may be needed. You can speak to debt charities, such as StepChange if you need help to get back on track. Bad credit loans may be suitable if you need extra money in an emergency. It is important to be sure that you will have the funds available to repay your debt in time. A bad credit loan may be suitable if your boiler breaks at the end of the month, and you will have enough money to make repayments after you have next been paid. It may also be the right choice if you have left one job and have another lined up, but need a loan to tide you over for a few weeks in between. Bad credit loans should not be used for non-essential purchases, such as a night out or a takeaway. It is important, for your financial safety that you carefully consider your options before applying for a bad credit loan.